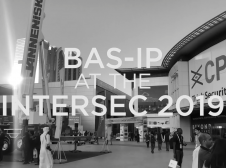 BAS-IP team at the annual Intersec 2019 in Dubai! 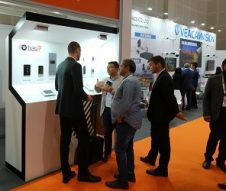 We demonstrate modern devices with BAS-IP UKEY mobile access, unique IP equipment, and our main novelties! The world’s premier trade fair for Security, Safety & Fire Protection “INTERSEC DUBAI” will take place on 3 days from Sunday, 20th January to Tuesday, 22nd January 2019 in Dubai. BAS-IP INTERCOM ON EXISTING 2 WIRES! 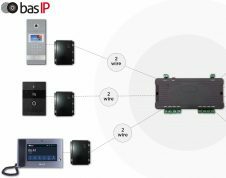 Yes, you heard that right, with basIP now you can convert your existing wired installation to a pure IP intercom without having to run ethernet cables for IP intercom on the entire installation.